Rustic Silver Cast Iron Starfish Beach Hook 8"
Rustic Light Blue Cast Iron Starfish Bath Towel Holder 28"
This charming Decorative Butterfly Fish Throw Pillow 16" combines the atmosphere of the sea and sea life. With these colorful fish, it will feel like your closer to the ocean. 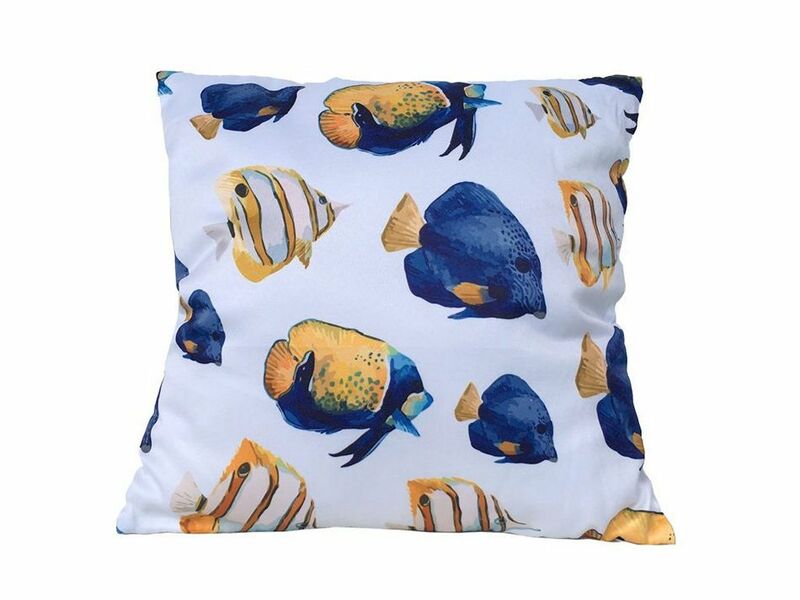 This decorative pillow will carry an enchanting feel that brings the wonder and magic of the sea into your home or office . Place this beach theme pillow in any location to show guests your affinity for coastal decoration.